The Sheldonian Theatre (1667) was the first major building designed by Sir Christopher Wren, who was then a Professor of Astronomy at Oxford. Wren built the Sheldonian in the style of a classical Roman theatre. Today it is used as a venue for concerts or lectures, but its major role is for the annual ceremony conferring degrees on Oxford University graduates. 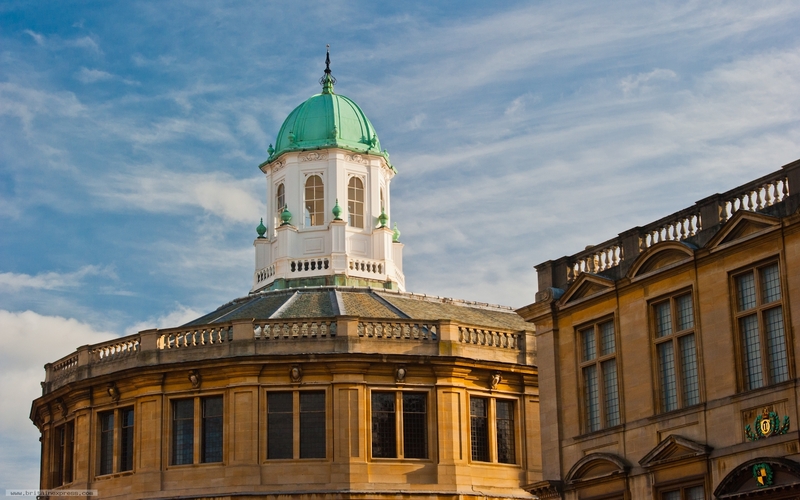 You can climb to the cupola for wonderful views over Oxford's skyline of 'dreaming spires'.